When exercise is a big part of your day to day routine, the thought of having to go days or even weeks without it following dental work or surgery can be intimidating and more terrifying than the procedure itself. There are several things to consider after dental work that can determine whether or not you should resume normal workout levels following a procedure. Many dental treatments require a minimum of 24-48 hours recovery time but the exact time needed before you can resume exercising after dental work will depend on your fitness level and the work that was done. The local dental care experts in Elmhurst are right here at Kopp Dental and we are ready to answer any questions you may have about exercising after dental work! There is an almost endless list of many varied procedures that you can have done regarding your teeth and gums. These range from a mild cleaning to x-rays to more invasive treatments like extractions, implants, or dental surgery. If you have dental work that involves excessive trauma to the teeth and gums longer recovery time will be needed. Minor work often has only a few hours to a day needed for downtime so you can be back to your workout routine quickly. 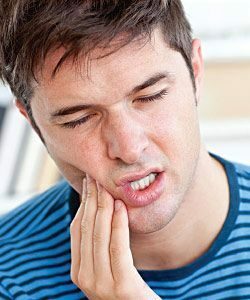 The best way to know when exercising after dental work is ok is to talk to your surgical team from the local dental care experts in Elmhurst and let us help you develop a recovery plan that is right for you and let us help you determine when exercising after dental work is a safe activity to resume. 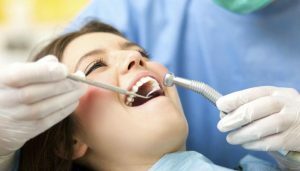 Depending on the type of dental work that is done and your physical condition you may be given some form of sedation for your dental procedures. You may be given the drugs for sedation before or directly after the procedure. Exercise should not be considered until the effects of any narcotic analgesic drug wear completely off- depending on the type and the dosage it could be 12 hours minimum. Following any type of major dental work, you need to listen to your body and pay close attention to the signs and signals it will give you during recovery. You will want to start back slow and gentle, even if you have a lot of energy. Even if there is relatively no pain and you seem to be recovering well, taking it easy the first few days back to your exercise routine is a good idea. The key is to not engage in vigorous activity or motion that can cause stitches in the mouth to tear or increase blood pressure to the point wounds open and begin to bleed. You will want to avoid bending and lifting for the first day or two and work into your normal routine slowly so you can see how you feel and how your body reacts to the workout. If your doctor prescribed pain relievers you will need to carefully monitor how they make you feel as many can cause drowsiness, dizziness, or lightheadedness- which makes exercising after dental work all the riskier when attempted too soon. When it comes to exercising after dental work or major procedures, you will need to follow the advice of your surgical team. 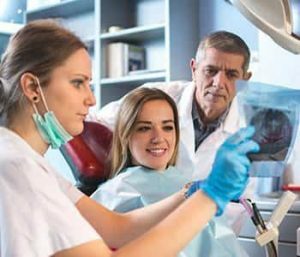 The dental care experts in Elmhurst here at Kopp Dental, will work with you before your treatments to ensure you know the recovery plan and what you need to do to have the best recovery possible. Warning signs to look out for that warrant a call or visit with us include bleeding that does not stop, extreme stabbing pain, red irritating tissue around surgery site, or a green or white discharge. With the proper care post-treatment, you can be on your way to a fast recovery and be back to your normal workout routine. In many cases, it is better to hold off a few days before resuming exercising and play it safe rather than jumping back into your full routine too soon. Talk to our experts here at Kopp Dental and let us help you plan your dental procedure or treatment and get you back to your normal routine as soon as possible!